oneworld is a forefront aviation alliance aiming to bring best services to passengers among it members. 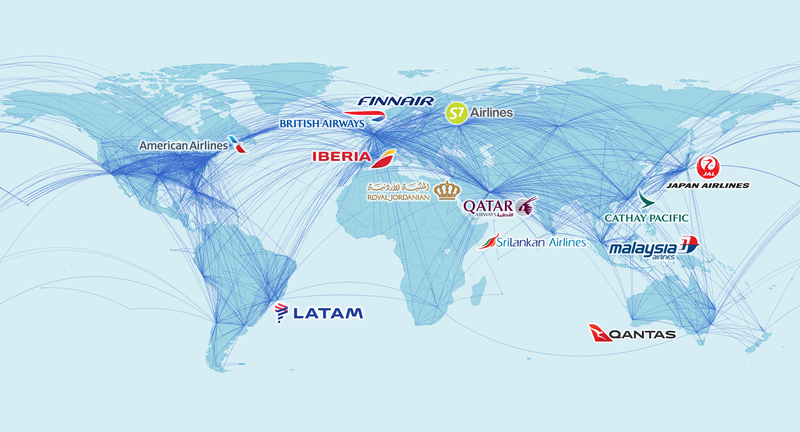 American Airlines, British Airways, Cathay Pacific, Finnair, Iberia, Japan Airlines, LATAM Airlines, Malaysia Airlines, Qantas, Qatar Airways, Royal Jordanin, S7 Airlines and SriLankan Airlines are currently oneworld members. The alliance also counts about thirty affiliate members.